can either take single exposures during times of good seeing. Or record video footage (AVI or YUV uncompressed format) and stack the best frames in Registax. compensate for varying levels of transparency in the Earth’s atmosphere. your laptop or PC, USB 3.0 is much faster than the USB 2.0.
greatly improve the camera's image clarity in low light conditions. sky objects imaging is not a good choice. Install the astronomy software Download the astronomy software from the original CD. And install it to your computer. remind the discovery of a new hardware. Check the SVBONY SV205 in the computer device manager. To make sure everything connected well. image or some light on the screen. Plug and play without driver, real-time dynamic observation by crystal clear image. The image sensor uses dark light compensation technology to greatly improve the camera's image clarity in low light conditions. In MJPG video format, You can record video quickly and the frame rate up to 30FPS at 2K resolution 1920x1080; if you want high quality image, please choose YUV uncompressed video format. The speed will be 15FPS per second at 3264*2448 resolution. SV205 camera allows you to capture a real-time video and transport to your laptop or PC, USB 3.0 is much faster than the USB 2.0. Share the view of bright planets, the Moon, and terrestrial targets through your computer with friends, family, and fellow astronomy enthusiasts. An affordable introduction to the rewarding hobby of astrophotography. Great for lunar and planetary shots – deep sky objects imaging is not a good choice. 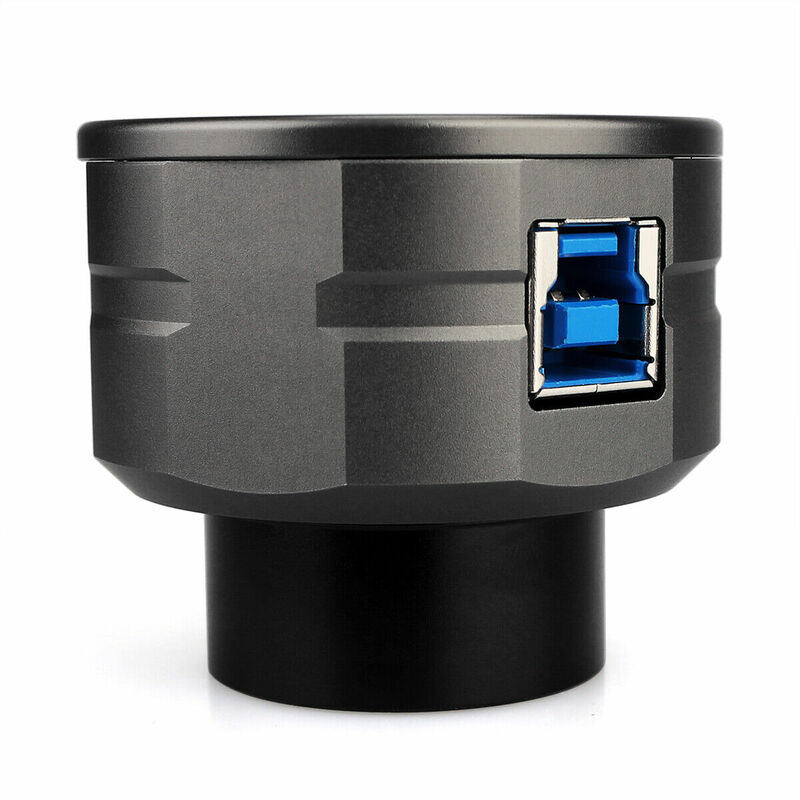 Connect SV205 camera to your PC Please connect SV205 camera to the computer's USB 3.0 port by using the original cable. WINDOWS system will remind the discovery of a new hardware. Testing the SV205 camera by the sharpcap software (NO NEED TO CONNECT TO THE TELESCOPE).Firstly, Enter the software,?camera?—?SVBONY SV205?.Double click the ?SVBONY SV205?button, then you will see the image or some light on the screen. The SV205 CMOS color camera is a popular choice for beginners due to its affordable price tag and solar system photography capabilities. 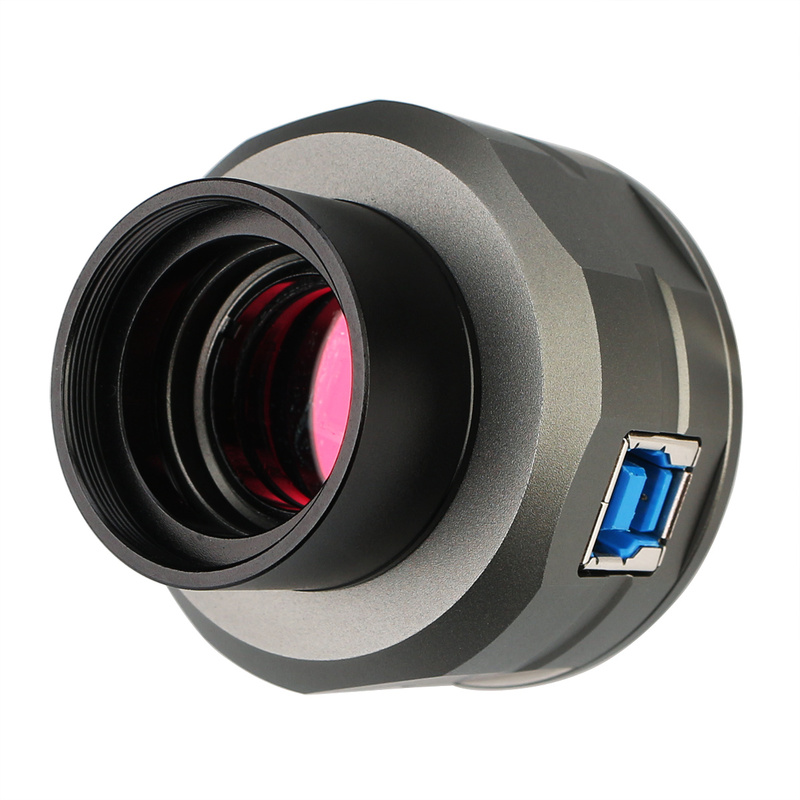 This camera uses a 8M Pixel SONY IMX179 imaging sensor with 1.4µmx1.4µm pixel size. This type of camera sensor is ideal for capturing images of planets like Saturn, Jupiter and Mars because the images are highly magnified. You can either take single exposures during times of good seeing. Or record video footage (AVI or YUV uncompressed format) and stack the best frames in Registax.